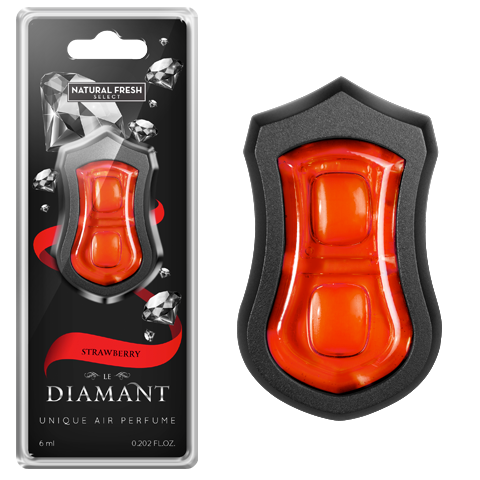 Diamant Strawberry - Car Fragrances. 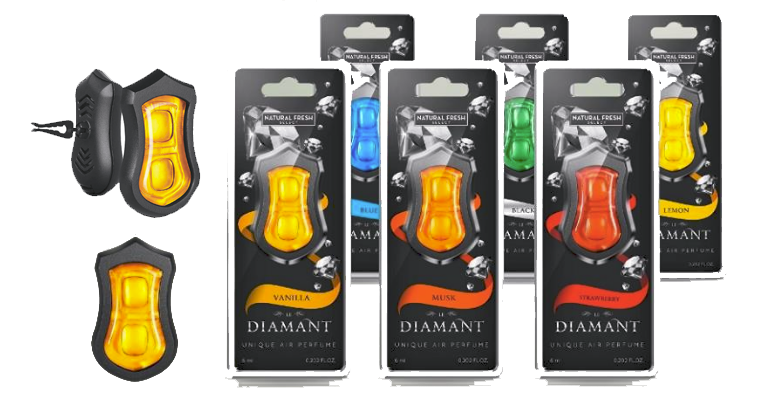 Air-freshener Premium of excellent olfactory quality and attractive design. To connect in the grid of ventilation. 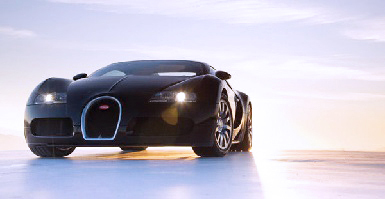 He has a click that it will allow us to turn 360 º.